Sometimes it is good to earn some money even by publishing free games and applications. This is where advertisements come handy. 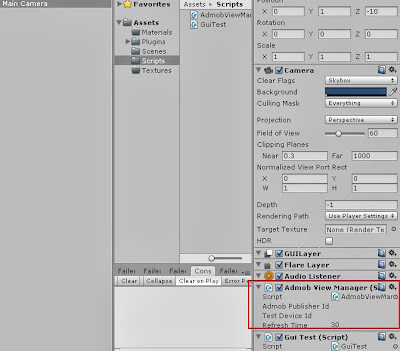 In this post I will explain how to create a unity3d plug-in to show ads using Google's Admob. If you are new to plugins for Unit3d, please read these two posts Android Plug-in #1 and Android Plug-in #2.In order to use Admob advertisement SDK in your application or game you will need Admob publisher's id. You can register for Admob account on Admob . Once you have registered for Admob account, you can download the sdk here. Create an android application project using eclipse. Add Admob sdk to libs folder. Export the jar as mentioned in earlier posts. No need to include libs folder in the jar. Attach these two scripts to Main Camera and save the scene. Add .jar which is generated in Step #1 to /Assets/Plugins/Android folder. 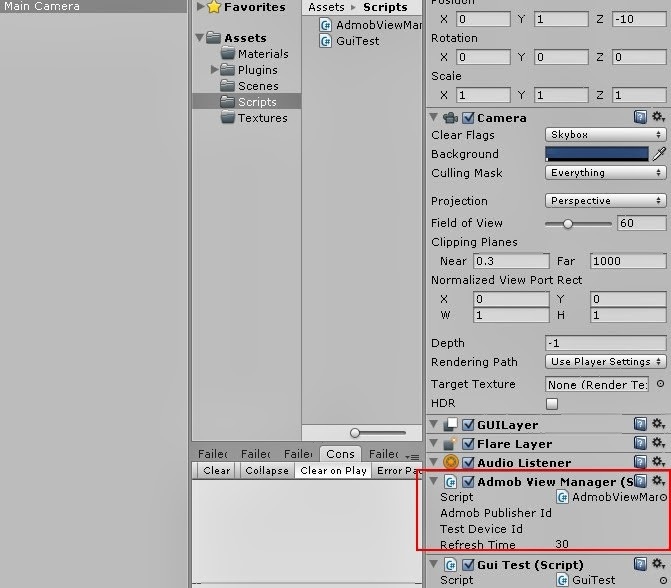 Save the scene and attach device to PC and build the application in Unity3d. You should see Ads in your mobile. Hope this helps. Happy coding!! !